2. 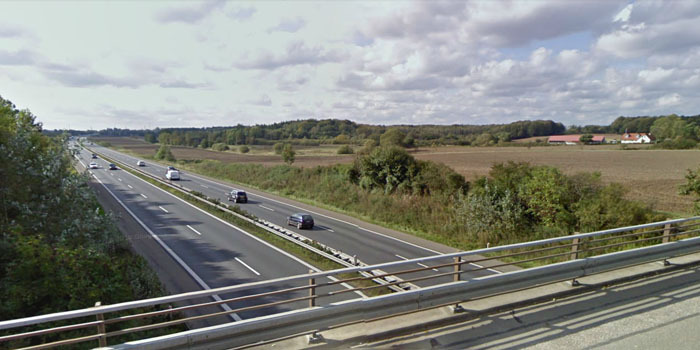 Bridge across the highway E45 with a view to fields and farms in between city and land that is challenged by pollution and a lack of biodiversity, where the potential is a more varied and diverse nature. 3. 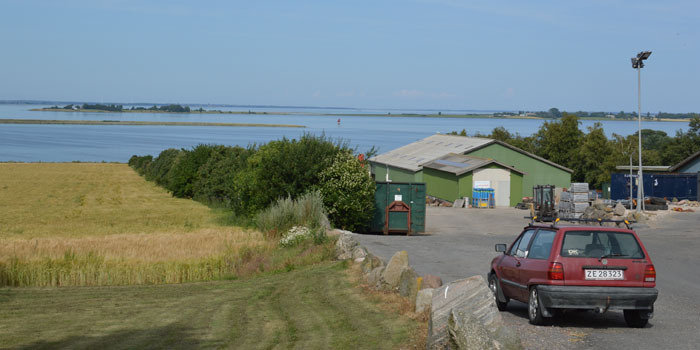 The archipelago south of Funen seen from Aeroe that is challenged by an elevated water level and depopulation, where the potential can be more locale differences between planting and buildings. A film that looks thoroughly at three sites in Denmark that is being both presented as they are today and as they can look like in the future, where different times and imaginations are being layered the same picture seen from the same position. The film is a series of scenarios of development that is being repeated for the three sites. It is an altered documentary that is able to show the sites in a way that otherwise is not to be experienced in a X-ray time-wise, which relates to the expanded vision at the reality that we imagine can be possible in the future.